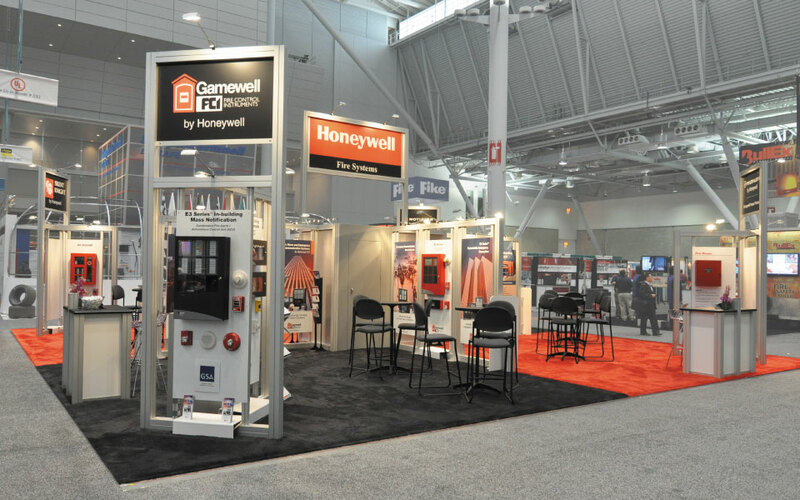 DisplayCraft has partners around the globe ensuring our clients have access to an extensive inventory of international rental exhibit materials. 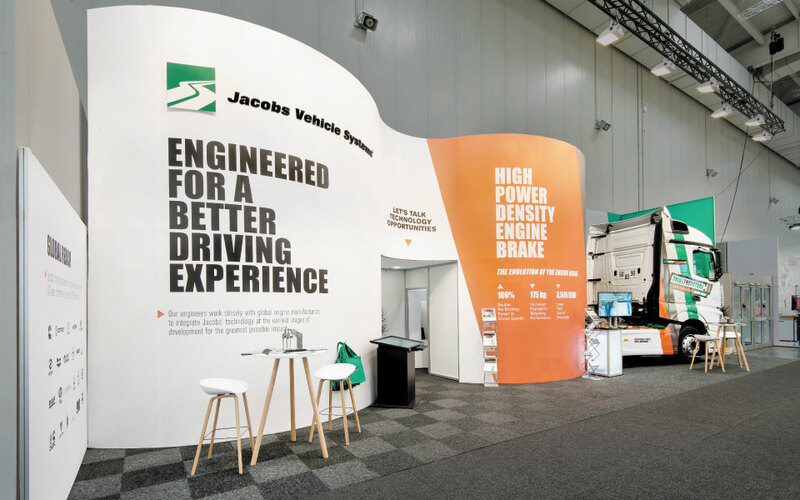 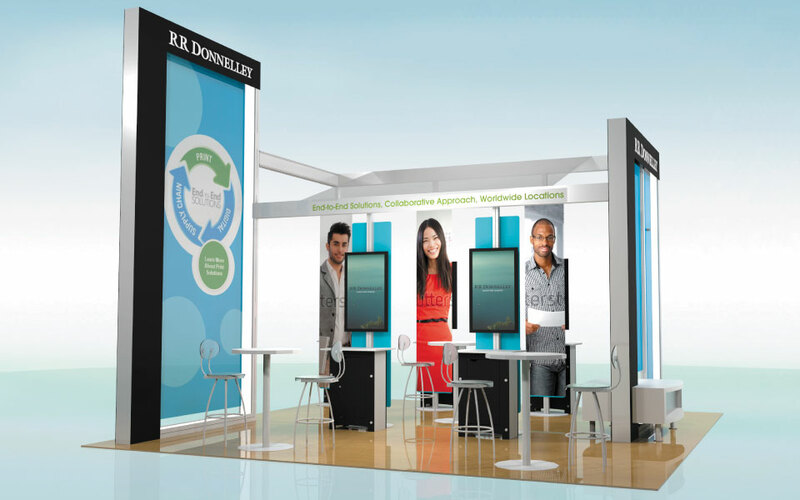 Our design team analyzes current booth properties and marketing messages to find a solution that consistently exhibits brands no matter where the show. 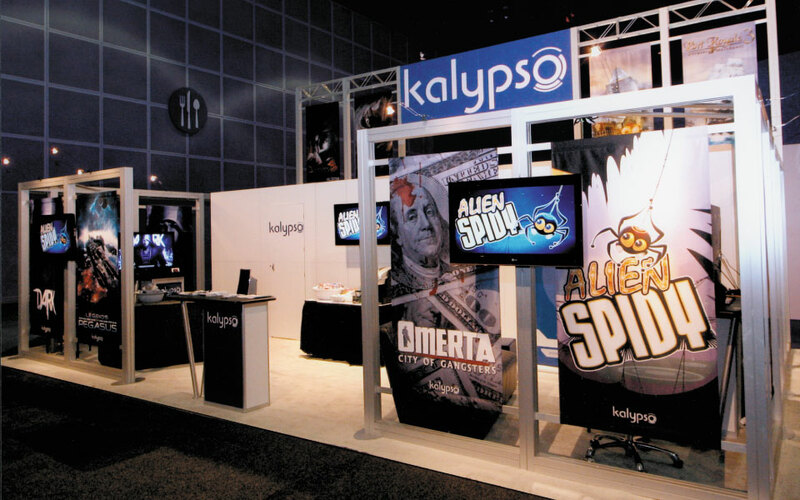 The ebm-papst rental display for AHR EXPO-Mexico utilized a two-tone color scheme reflective of their current exhibit properties. 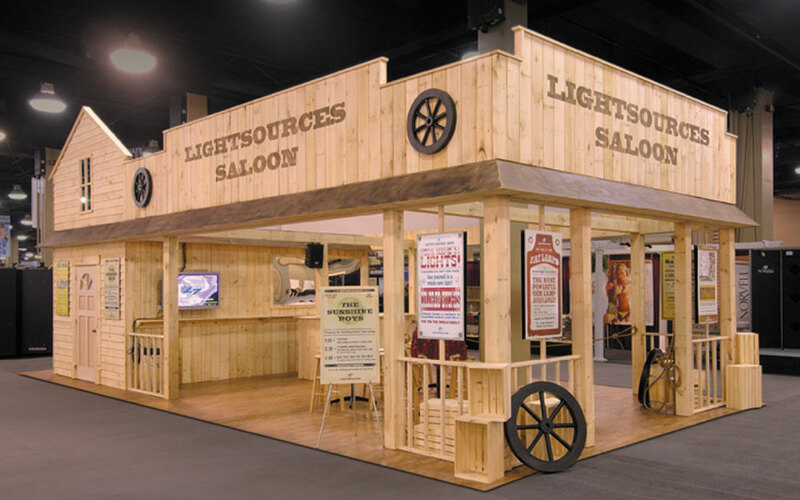 Shelving and pedestals added product display areas while a small seating area provided an informal meeting space. 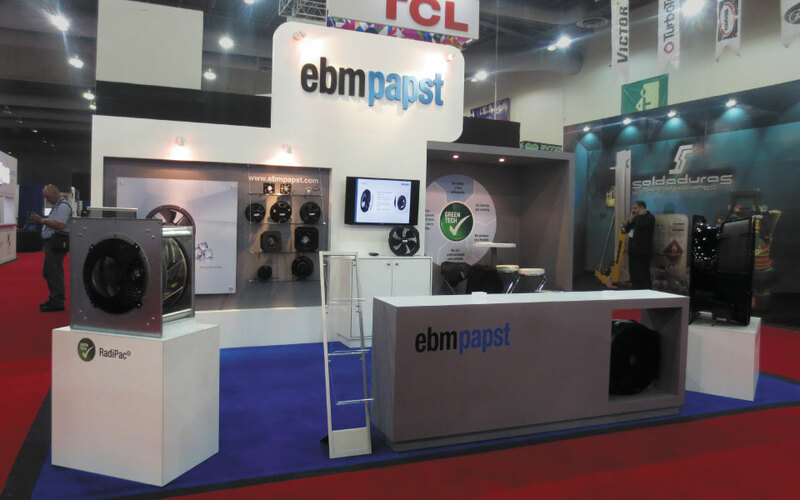 A bold three-dimensional logo header and strategic accent lighting created an upscale environment reinforcing the ebm-papst quality brand.